If you’re of a certain age – say, your mid-40s – like me, you likely grew up watching Hanna-Barbera’s space age Flintstones spinoff, The Jetsons. Where Fred Flintstone and Barney Rubble got around town with their foot-powered car, George Jetson hopped into his private space ship. And while various dinosaurs helped Fred’s wife, Wilma, take care of domestic chores, the Jetson household had automated systems and a cheeky robot named Rosie to take care of most domestic tasks. As a kid, the Jetsons’ lifestyle seemed truly futuristic. Yet, as I grew older, many sci-fi concepts became everyday items. (I definitely did not think I’d be carrying around pocket-sized phone that doubles as a camera, videoconference machine, and entertainment centre all in one.) In the age of the so-called “Internet of Things” (IoT), virtually any household device can be remotely controlled and monitored through apps and online portals. 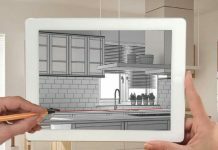 Here, we take a look at the latest in smart home technology, and a sneak peak at what the future still holds. Once upon a time, a home security system meant installing a few motion-sensor lights and some grainy, black-and-white video cameras. Today’s smart home security begins long before you – or visitors, friend and foe alike – even cross the threshold. 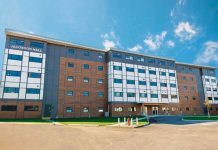 Top quality security cameras have motion detection and LED night vision, and use wide-angle lenses to capture HD colour images that can stream live video to your phone or computer. 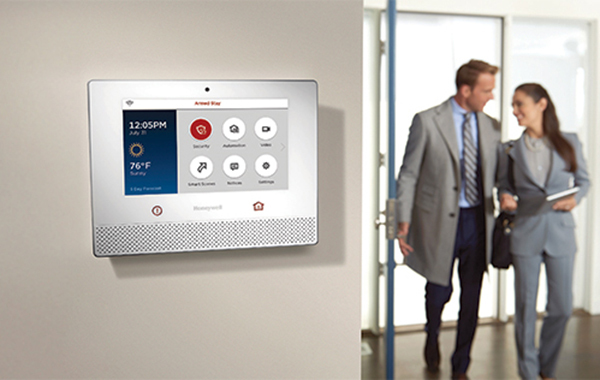 Honeywell Home’s all-in-one system covers the entire property, inside and out, with interior and exterior motion-sensor cameras, window and door sensors, and more. 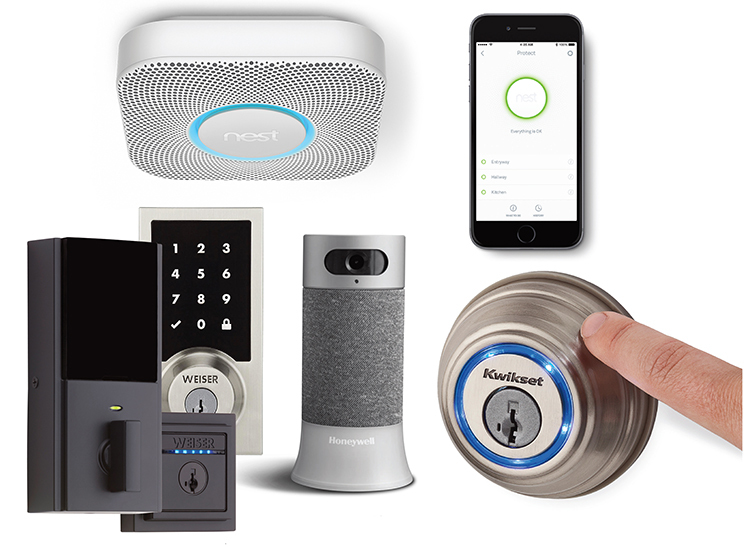 “It’s an a la carte approach to creating a security system,” says AJ Smith, vice president and general manager of Homes Pro Install Comfort, Honeywell Homes. One feature, Scheduled Facial Recognition, lets parents know when their kids have arrived home for school, and sends a notification if an unknown person has accompanied them. The outdoor MotionViewer cameras can be programmed to turn on the lights, or even trigger the sound of a barking dog. Inside, the Lyric camera detects sounds (say, a crying baby or a smoke alarm) and sends out alerts when it picks up either. The system can also be paired with Amazon’s Alexa for vocal controls. 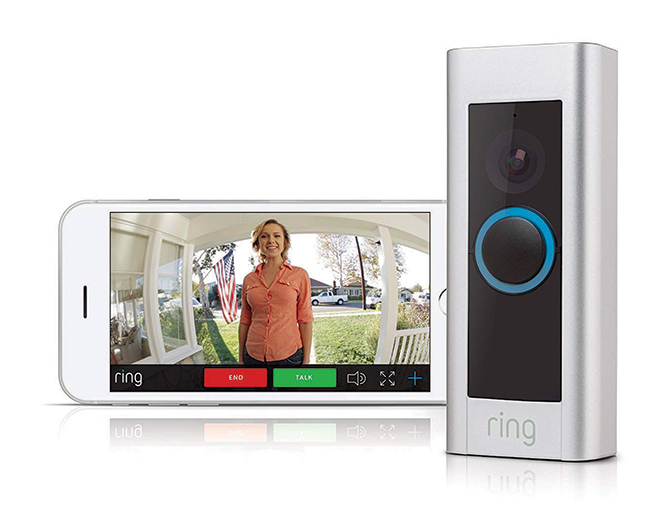 For homeowners looking for a simpler option, doorbell systems such as Ring, can start recording as soon as someone gets within 30 feet of the camera and send you a notification when they do. You can view the live video feed on your phone or tablet, and even speak with visitors via the two-way audio system. With premium plans, the video is stored in the cloud so if someone tries to steal the unit, you’ll have video of them doing so up to the minute they disconnect it. The system can also be linked to other hardwired or battery operated cameras for complete coverage of the area. 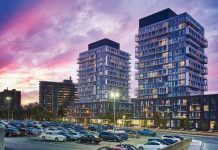 Other systems enable owners to put a “geo-fence” around the property linked to their phone so that when they leave the property the system automatically engages. People have been using locks and keys to protect their property for millennia – wooden pin locks were used in ancient Egypt and Babylon. That streak might be coming to an end. 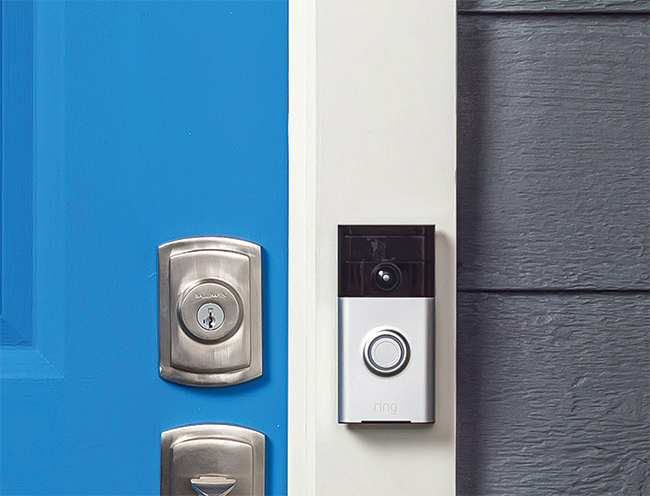 State-of-the-art locks now use keypads, digital keys, and even fingerprints to lock and unlock doors. Wiser’s Kevo fingerprint lock also has sharable electronic keys for guests, and sends out notifications when the system is being used. Other locks, like the Weiser Premis, can be connected to Apple platform so Siri can open and shut doors for you. These locks can also link to Nest and Honeywell HVAC systems to automatically adjust the temperature based on arrivals and departures. Not to be outdone, garage door opener manufacturers have developed apps that can control multiple doors, monitor when they open and close, send streaming video of the interior or exterior and, in some cases, even keep tabs on temperature, smoke, and CO levels. Speaking of smoke and CO detectors, one of the best on the market is the Nest Protect. 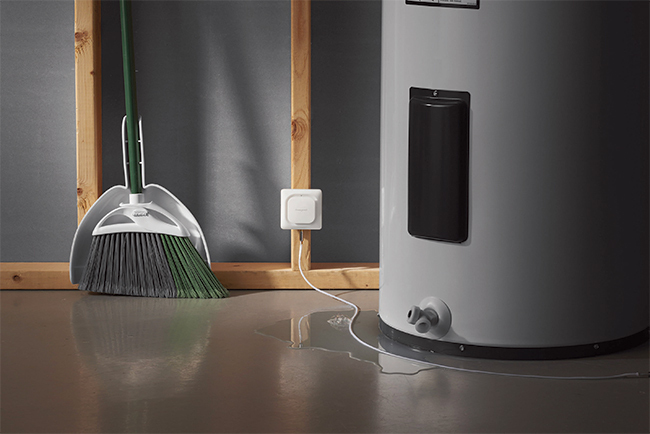 When the hardwired system (with battery backup) is linked to a Nest thermostat, it can automatically shuts off HVAC equipment in an emergency situation.